維基百科編者. 高雄捷運紅線[G/OL]. 維基百科, 2017(20170423)[2017-04-23]. https://zh.wikipedia.org/w/index.php?title=%E9%AB%98%E9%9B%84%E6%8D%B7%E9%81%8B%E7%B4%85%E7%B7%9A&oldid=44104551. 維基百科編者. 高雄捷運橘線[G/OL]. 維基百科, 2017(20170423)[2017-04-23]. https://zh.wikipedia.org/w/index.php?title=%E9%AB%98%E9%9B%84%E6%8D%B7%E9%81%8B%E6%A9%98%E7%B7%9A&oldid=44104773. 高捷初期以地下路線為主，紅線的橋頭火車站到世運站間則是為高架段；至於紅線的南岡山站、橘線的大寮站則為平面路線，和新建的環狀輕軌相似。未來高捷擴充則吸取了營運的教訓經驗，路網規劃考慮預算合理與切合需求，新建的路線原先也是先以臺鐵再造與地面段為主，現階段已整併其中三條輕軌路線成高雄捷運黃線並送審中。目前共有三條路線營運中，分別是紅線、橘線和環狀輕軌，其規劃為高運量系統、輕軌運輸系統，累積運量已於2015年1月底突破3億5000萬人次。維基百科編者. 高雄捷運[G/OL]. 維基百科, 2017(20170508)[2017-05-08]. https://zh.wikipedia.org/w/index.php?title=%E9%AB%98%E9%9B%84%E6%8D%B7%E9%81%8B&oldid=44285213. 가오슝 첩운(高雄捷運, 영어: Kaohsiung Mass Rapid Transit System, KMRT) 또는 정식명인 가오슝 시 도회구 대중첩운계통(高雄市都會區大衆捷運系統)은 중화민국 가오슝 시의 도시 철도이다. Kaohsiung Mass Rapid Transit or MRT, formally Kaohsiung Rapid Transit System (Chinese: 高雄大眾捷運系統, 高雄捷運; pinyin: Gāoxióng Dàzhòng Jiéyùn Xìtǒng, Gāoxióng Jiéyùn), is a rapid transit system covering the metropolitan of Kaohsiung, Taiwan. Construction of the KMRT started in October 2001. The Red Line and the Orange Line opened on March 9 and September 14, 2008, respectively. KMRT is operated by the Kaohsiung Rapid Transit Corporation (KRTC; Chinese: 高雄捷運公司) under the BOT contract the company signed with the Kaohsiung City Government. 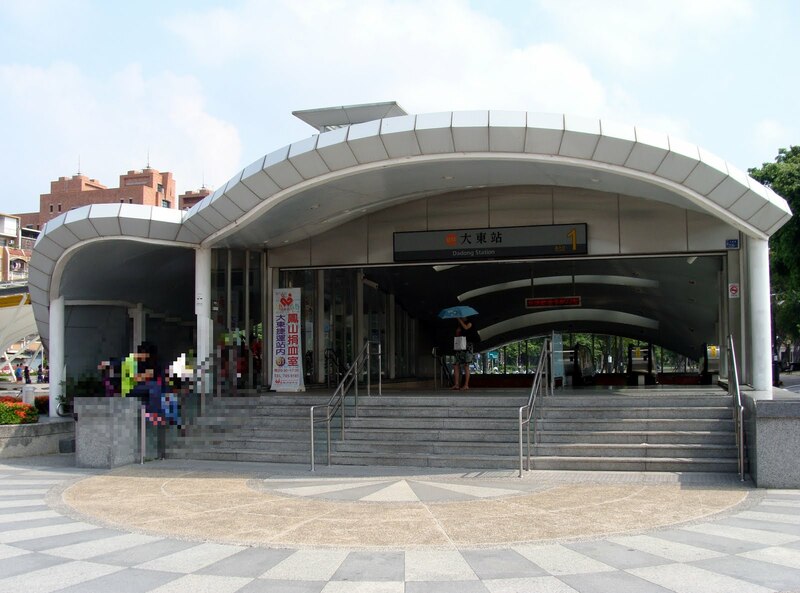 Two of Kaohsiung's MRT stations, Formosa Boulevard Station and Central Park Station, were ranked among the top 50 most beautiful subway systems in the world by Metrobits.org in 2011. In 2012, the two stations respectively are ranked as the 2nd and the 4th among the top 15 most beautiful subway stops in the world by BootsnAll. Die Kaohsiung Mass Rapid Transit (KMRT) bezeichnet das U-Bahn-System der taiwanischen Stadt Kaohsiung. Baubeginn war 2001. 除高雄車站外，所有紅線高運量車站皆以可容二組六節車廂停靠來設計，以容納未來的運量需求。隨著2008年通車啟用的捷運高雄車站因台鐵鐵路地下化工程需要，只興建臨時站體，因此只可容許一組三節車廂停靠。可停六節車廂的永久站體月台和設施要等到台鐵工程完成後才會繼續施工，目前南向要進臨時站前可由車窗玻璃外看到有鐵皮圍住施工中的永久月台地點。維基百科編者. 高雄捷運紅線[G/OL]. 維基百科, 2017(20170423)[2017-04-23]. https://zh.wikipedia.org/w/index.php?title=%E9%AB%98%E9%9B%84%E6%8D%B7%E9%81%8B%E7%B4%85%E7%B7%9A&oldid=44104551. 橘線原規劃設置愛河站（O3），但因高雄市政府遷至的苓雅區（今四維行政中心），及高雄地下街因火警而關閉，故取消設站。最初的橘線西端曾考慮在中山大學內設站，後因地質問題以及中山大學不同意下而縮短至哈瑪星，但站名仍使用原本的西子灣而沒改成哈瑪星；東端原只到鳳山國中站與大東站之間的黃埔公園，而機廠設於今之衛武營都會公園，但後考量到機廠設於市區過於浪費，而將路線東延至大寮，並將機廠改至現址。維基百科編者. 高雄捷運橘線[G/OL]. 維基百科, 2017(20170423)[2017-04-23]. https://zh.wikipedia.org/w/index.php?title=%E9%AB%98%E9%9B%84%E6%8D%B7%E9%81%8B%E6%A9%98%E7%B7%9A&oldid=44104773.